Extraordinary Investment/Vacation Rental Opportunity! Santa Fe Style Abounds in this cute 1 bedroom condo located within a short walk/ride/stride of the Historic Plaza. Completely remodeled, kiva fireplace, full kitchen, sleek modern finishes, refrigerated AC. Custom built solid wood doors, extra large cabinets, high end furniture, and open floorplan add to the welcoming atmosphere and easy use of the space. Enjoy relaxing in the quiet confines of the property or utilize the indoor pool facility, laundry, ample walking trails, and a City park nearby. 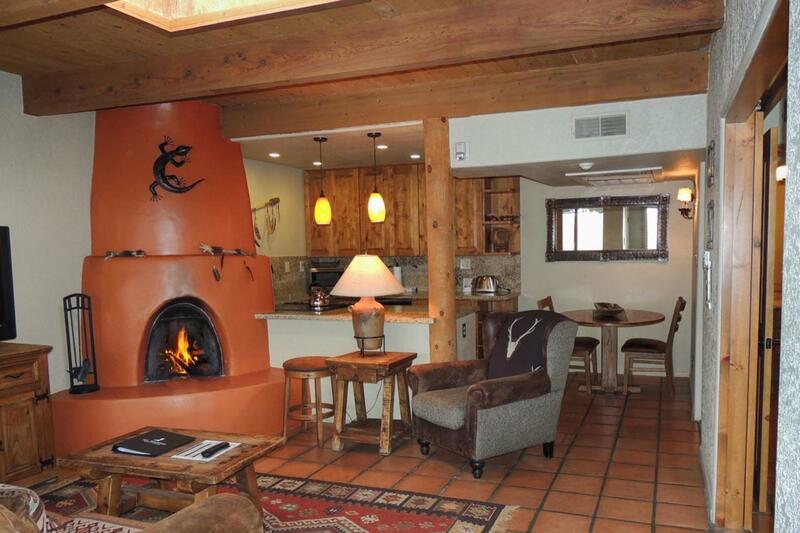 Minutes to Ski Santa Fe off Hyde Park Rd, numerous restaurants, galleries, and Downtown shopping. Short Term Rentals allowed (onsite management or obtain a permit from the City). Listing provided courtesy of Lisa Bybee of Barker Realty, Llc. © 2019 Santa Fe Association of REALTORS®, Inc. MLS. All Rights Reserved.